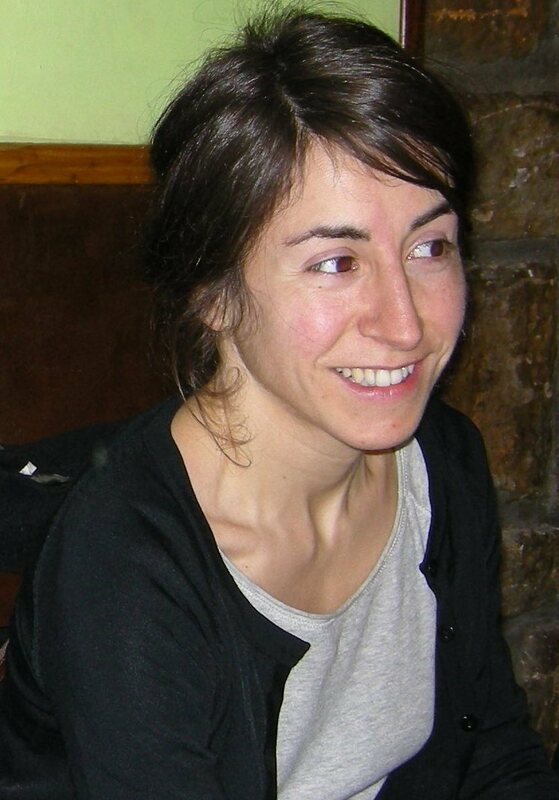 Joana Acha is associate professor in the Department of Basic Psychological Processes and their development at the UPV / EHU and coordinator of the cognitive development course in the developmental area. She received her Ph.D. in 2009 at the University of Valencia with the work “Experimental analysis of the effect of orthographic similarity and encoding processes of letters during reading” (published at the University of Valencia in 2010). She has been researcher at the University of Massachusetts Amherst, and the Basque Centre on Cognition Brain and Language of Donostia. Her research is currently focused on the cognitive processes involved in language development and reading, and her teaching includes Cognitive development, Neuroscience and Learning difficulties. 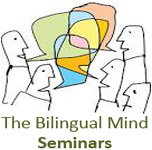 Cognitive development and language acquisition and bilingualism. Cognitive processes involved in word recognition and learning to read. Behavioral and eye movement studie. Lázaro, M., Illera, V., Acha, J., Escalonilla, A., García, S., & Sainz, J. S. (2018) Morphological effects in word identification: tracking the developmental trajectory of derivational suffixes in Spanish. Reading and Writing, 1-16. Lizaso, I., Acha, J., Reizabal, L., & García, A.J. (2017). Desarrollo biológico y cognitivo en el ciclo vital. Madrid, Pirámide. Lázaro, M., Acha, J., Illera, V., & Sainz, J. (2016). Written type and token frequency measures of fifty Spanish derivational morphemes. Spanish Journal of Psychology, 19, E75. Acha, J. (2016). Hacia un modelo multidimensional del trastorno específico del lenguaje y la dislexia: Déficits compartidos y específicos. Revista de Investigación en Logopedia,2, 107-141. Fratini, V.; Acha, J.; Laka, I. (2014) Frequency and morphological irregularity are independent variables: Evidence from a corpus study of Spanish verbs. Corpus Linguistics and Linguistic Theory. Volume 10, Issue 2, Pages 289–314, EISSN: 1613-7035, ISSN: 1613-7027, DOI: 10.1515/cllt-2013-0028. Acha, J., & Carreiras, M. (2014). Exploring the mental lexicon: a methodological approach to understanding how printed words are represented in our minds. In Juhani Järvikivi, Pirita Pyykkönen-Klauck & Matti Laine (Eds. ), Words & Constructions: Language Complexity in Linguistics and Psychology. A Special Issue of The Mental Lexicon, 9(2). Sistiaga, A., Castillo, T., Aliri, J., Gaztañaga, M., Acha, J.,et al. (2014). Rendimiento cognitivo y calidad de vida de la esclerosis múltiple en Guipúzcoa. Revista de Neurología. Volume 58, pp. 337-344. Lupker, S.J., Acha, J., Davis, C.J., & Perea, M. (2012). An investigation of the role of grapheme units in word recognition. Journal of Experimental Psychology: Human Perception and Performance. DOI: 10.1037/a0026886. Reizabal, L.; Acha, J. (2012). Hezkuntza sozioemozionala eta ikaskuntza zailtasunak: hezkuntza-testuinguruetan aplikatzeko esku-hartzea. UEU (Eds. ): Bilbao. Reizabal, L., & Acha, J. (2012). Hezkuntza sozioemozionala eta ikaskuntza zailtasunak: hezkuntza-testuinguruetan aplikatzeko esku-hartzea. UEU (Eds. ): Bilbao. Acha, J., & Perea, M. (2010). Does kaniso activate CASINO? Input coding schemes and phonology in visual-word recognition. Experimental Psychology, 57, 245-251. Acha, J & Perea, M. (2010). On the role of consonants and vowels in visual word recognition: Evidence with a letter search paradigm. Language and Cognitive Processes, 25, 423-438. Acha, J., Laka, I., & Perea, M. (2010). Reading development in agglutinative languages: Evidence with beginning, intermediate and adult Basque readers. Journal of Experimental Child Psychology, 105, 359-375. Acha, J. (2009). 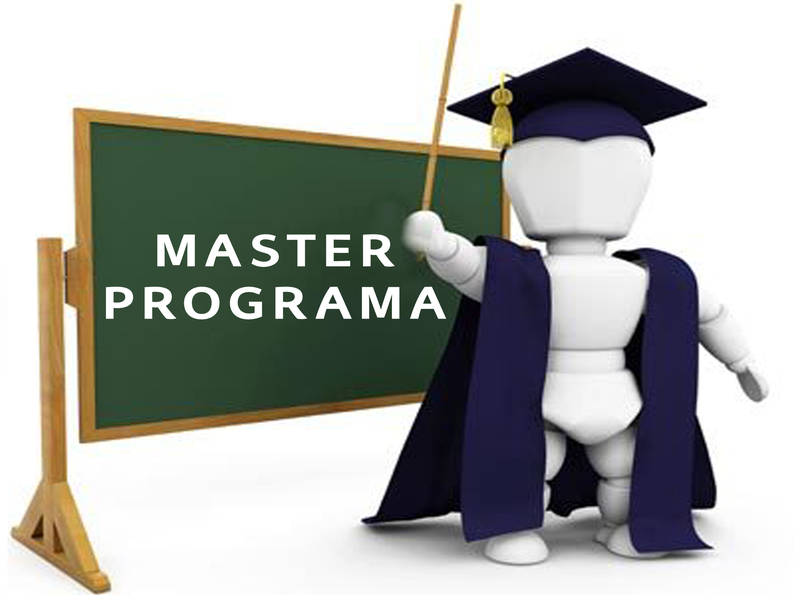 The effectiveness of multimedia programmes in children’ s vocabulary learning. British Journal of Educational Technology, 40, 23-31. Perea, M. & Acha, J. (2009) Does letter position coding depend on consonant/vowel status? Evidence with the masked priming technique. Acta Psychologica, 130, 127-137. Perea, M., Acha, J. & Carreiras, M. (2009). Eye movements when reading text messaging (txt msgng). Quarterly Journal of Experimental Psychology, 62, 1560-1567. Perea, M. & Acha, J. (2009). Space information is important for reading. Vision Research, 49, 1994-2000. Perea, M., Acha, J., & Carreiras, M. (2009). Lnguaj SMS: ¿cost o bnficio? Ciencia Cognitiva, 3, 52-54. Davis, C. J., Perea, M., & Acha, J. (2009). Re(de)fining the orthographic neighbourhood: The role of addition and deletion neighbours in lexical decision and reading. Journal of Experimental Psychology: Human Perception and Performance, 35, 1550-1570. Perea, M., Acha, J., & Fraga, I. (2008). Lexical competition is enhanced in the left hemisphere: Evidence from different types of orthographic neighbors. Brain and Language, 105, 199-210. Goikoetxea, E., Pascual, G., & Acha, J. (2008). Normative study of the implicit causality of 100 interpersonal verbs in Spanish. Behavior Research Methods, 40, 760-772. Acha, J., & Perea, M. (2008). The effects of length and transposed-letter similarity in lexical decision: Evidence with beginning, intermediate, and adult readers. British Journal of Psychology, 99, 245-264. Acha, J., & Perea, M. (2008). The effect of neighborhood frequency in reading: Evidence with transposed-letter neighbors. Cognition, 108, 290-300. Funding agency: Ministerio de Economía y Competitividad. Members: Andone Sistiaga y Marie Lallier. Acha, J., López, A., Barreto, F.B., Arranz, E. (2018, April) Cognitive markers of language development in primary school children. FRIAS Workshop on Language comprehension across the life span. Freiburg, Germany. López, A., & Acha, J. (2017, June) Visual letter and syllable detection impairments in children with SLI: Are the deficits only linguistic? Workshop on Infant Language Development, Donostia. Antzaka, A., Lallier, M., Acha, J., & Carreiras., M. (2016, May). Morphological awareness and visual attention span in reading development: Is their role modulated by lexicality and morphological complexity when reading aloud or copying?. International Workshop on Reading and Developmental Dyslexia, Bilbao. Sistiaga, A., Estevez, M., Gaztañaga, M., Aliri, J., Labayru, G., Acha., J., & Elorza., M.D. (2015, July). Prematurity and underweight: Predictors for psychomotor development?. 48th anual meeting of the International Society for Developmental Psychobiology. Acha, J., Sistiaga, A., Sainz, J., Lázaro, M., & Illera, V. (2015, July). The role of letter identity and letter position in Spanish developing readers: Evidence with skilled and dyslexic children. 12th Symposium of Psycholinguistics. Valencia, Spain. Acha, J. (2013, May) How and when do children misread similar words? Neighborhood frequency effects revisited. International Workshop on Reading and Developmental Dyslexia, Donostia. Acha, J., Sistiaga, A., & Lallier, M. (2013, November). What is the role of morphemes when learning to read in agglutinative languages? Evidence from Basque-Spanish bilingual children. Lexical workshop for the 54th Annual Meeting of the Psychonomic Society. Toronto, Ontario. Acha, J., Perea, M.., & Van Leeuwen, C. (2013). Congurence effects in visual word recognition. 11th Symposium of Psycholinguistics. Tenerife, Spain. Lallier, M., Acha, J., & Carreiras, M. (2013). Influence of orthographic transparency on letter string processing in French-Basque and Spanish-Basque bilingual children. 11th Symposium of Psycholinguistics. Tenerife, Spain. Acha, J., Salaburu, P., Landa, J.,& Laka, I. (2013). EHME: A new word database for research in Basque language. AESLA 2013. Tenerife, Spain. Acha, J., Salabruru, P., Laka, I., & Landa, J. (2012, November). EHME: A new word database for research in Basque language. SCiP Annual Meeting. Minneapolis, Minnesota. Acha, J, & Perea, M. (2012, May). On the coding of repeated letter digraphs in visual-word recognition. Baps-SEPEX 2012. Liegue, Belgium. Acha, J., & Martin, A. (2012, May). The role of syntactic predictability and stem frequency during reading: Evidence from Basque. Baps-SEPEX 2012. Liegue, Belgium. Acha, J., Hantsch, A., & Cholin, J. (2012, May). Inverse distractor frequency in the picture-word paradigm: An effect of neighborhood? Baps-SEPEX 2012. Liegue, Belgium. Acha, J., Laka, I., & Carreiras, M. (2011, January). The role of orthographic and phonological overlap in bilingual word recognition and naming. Neuroscience and Education. Seville, Spain. Acha, J., Carreiras, M., & Laka, I. (2011, April). Orthographic and phonological neighbors in bilingual word recognition and naming. 10th International Symposium of Psycholinguistics. Donostia, Spain. Lupker, S., Acha, J; Davis, C.J., & Perea, M. (2011, November). An investigation of the role of grapheme units in word recognition. 17th meeting of the European Society for Cognitive Psychology. Donostia, Spain. Acha, J., & Perea, M. (2010, April). Letters or graphemes? An examination of basic coding units in visual word recognition. SEPEX-EPS 2010, Granada, Spain. Acha, J., Carreiras, M., & Perea, M. (2010, November). Masked syllabic priming revisited: The case of Diphthongs and Hiatus. Word recognition miniconference for the 51th Annual Meeting of the Psychonomic Society. St. Louis, Missouri. Acha, J., Perea, M., & Nakatani, C. (2009, April). ¿Hay un componente fonológico en los efectos de transposición? IX Simposio de Psicolingüística, Santiago de Compostela, Spain. Acha, J., Laka, I., & Perea, M. (2009, May). Learning to read in an agglutinative language: The role of inflectional morphology in beginning, intermediate and adult Basque readers. PIF2009. Psicolingüistics in Flanders, Antwerpen, Belgium. Acha, J., & Perea, M. (2008, April). El efecto de frecuencia de vecindad en lectura: Evidencia con vecinos por transposición. VII Congreso de la Sociedad Española de Psicología Experimental, San Sebastián, Spain. Acha, J., & Perea, M. (2008, November). Space: The final frontier. 49th Annual Meeting of the Psychonomic Society, Chicago, Illinois. Acha, J., Perea, M., & Fraga, I. (2007, April). Los efectos de competición entre vecinos léxicos se incrementan en el hemisferio izquierdo. VIII Simposio de Psicolingüística, Palma de Mallorca, Spain. Acha, J., & Perea, M. (2007, August). The consonant/vowel status in letter position encoding: Evidence with a letter search task. XV Conference of the European Society of Cognitive Psychology, Marseille, France. Perea, M., Duñabeitia, J.A., Acha, J., & Carreiras, M. (2007, November). Letter position encoding and morphology. 48th Annual Meeting of the Psychonomic Society, Long Beach, California. Acha, J. & Goikoetxea, E. (2006, July). Texto o imagen: Efecto multimedia y carga cognitiva en el aprendizaje de un segundo idioma en niños. VI Congreso de la Sociedad Española de Psicología Experimental, Santiago de Compostela, Spain.